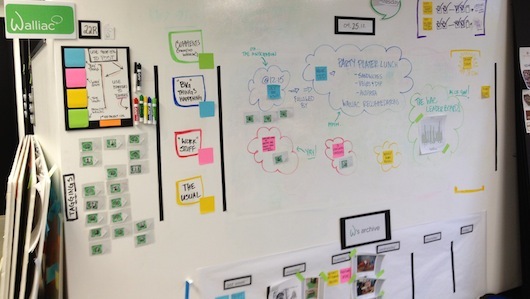 Many of our tech tenants are now specifying dry erase paint on some or all walls as part of their tenant build outs. Dry erase paint (or white board paint) turns a wall or table or door into a surface you can write or draw and erase like a whiteboard.. We have often wondered why not just use a whiteboard. Dry erase paint gives you a larger and more impromptu surface to mark up and erase. Further, we believe tenants like the novelty of the product. A 4′ x 6′ whiteboard would cost around $185. Although 40 square feet of Idea Paint, a brand of dry erase paint, would cost $80–you would still need to factor in the cost of installation. Many of our tenants argue it is just paint and can be applied like paint. However, it is not just paint. For it to work, you need to follow very specific application instructions. By the time you figure in the cost of application, we believe the finished price per square foot would be very similar to whiteboards at the $8 per square foot range. Try This: Paint A Wall With Dry Erase Paint – A Beautiful Mess. Here is an Idea Paint whitepaper on uses of white board paint in the office. Advocates claim that a wall that can be marked up leads to better collaboration. Colleagues can better add to ideas left up and viewed on the wall: You can read more at the link below. Can Food Trucks Help Creative Office Areas Without a Variety of Restaurants and Food Amenities? 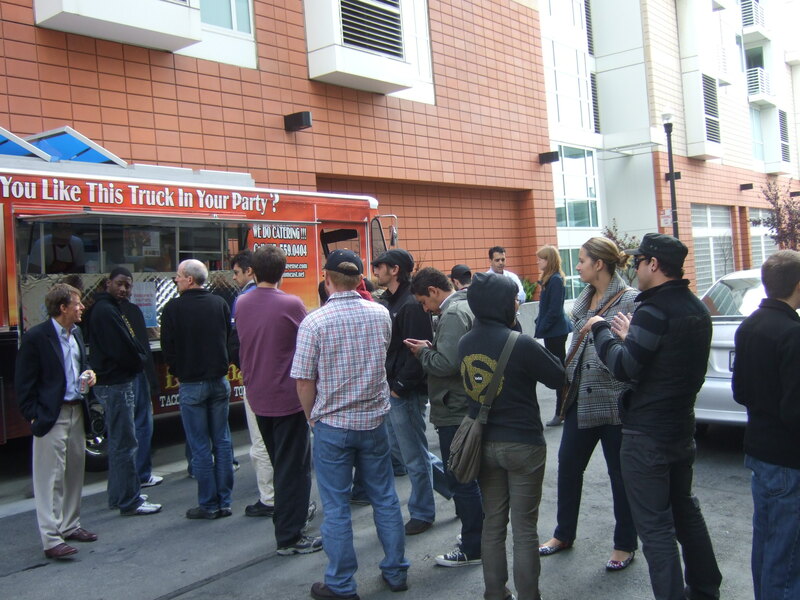 Despite gourmet lunches catered by Tech Companies located in PMI SOMA San Francisco Office Building, Tech workers line up to get a free taco from a popular food truck vendor. In Los Angeles, warehouses make excellent creative office conversions because of their high ceilings and industrial features. However,the neighborhoods with these creative office candidates typically do not have many restaurants or food amenities in easy walking distance. One example is the Hayden Tract in Culver City that has numerous warehouses converted to creative office. However, the area has only one or two restaurants in walking distance. True, Downtown Culver City and the Helms area with numerous exciting food and beverage options are a short drive by car. Culver City has ample parking in these areas. Many employers and employees have expressed that most of their employees do not want to drive to lunch. Yes, they will drive for a business lunch or occasional change of pace. Yes, these drivable restaurants and bars offer an excellent after work amenity. 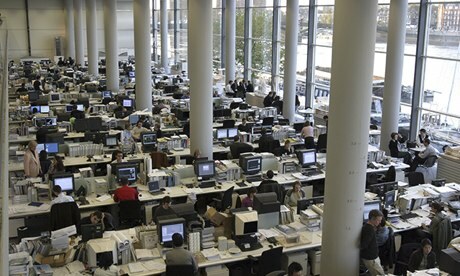 However, many creative office workers do not have time to go to a long lunch. These workers bring their lunch, and some employers have lunch catered in for their creative workers. These creatives would welcome a variety of alternatives to catch a fast lunch time bite. These food amenities increase the desirability of the area. As the area grows, and if zoning allows, more restaurants and food amenities will appear. In the meantime, food trucks can provide a temporary solution to lunch time boredom. Once only used by construction workers, food truck have gone gourmet and appeal to a more discriminating pallet. Further, food trucks can rotate and provide a wide variety of alternatives.